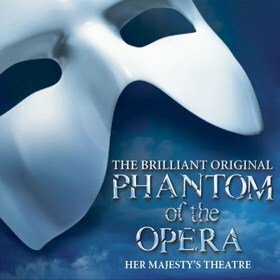 Andrew Lloyd Webber’s Really Useful Group have today announced that in collaboration with Stage Entertainment, The Phantom of the Opera is to open at the Mogador Theatre in Paris from October 2016. Following on from the successful season of Cats at the Mogador Theatre, The Phantom of the Opera, one of the biggest musicals of all time, is set to be another smash hit. The Paris production will celebrate the 30th anniversary of the opening of the show and will be the first time it plays in France and also in French. Le Fantôme de l’Opéra arrive à Paris! En collaboration avec The Really Useful Group d’Andrew Lloyd Webber, Stage Entertainment présente l’un des plus grand succès de comédie musicale de tous les temps, Le Fantôme de l’Opéra, adapté du roman de Gaston Leroux, au Théâtre Mogador à partir d’octobre 2016. The Phantom of the opera has entertained audiences in over 150 cities, 30 countries and has been adapted in 13 languages for over 140 million viewers worldwide. The Phantom of the Opera was inspired by the famous novel by Gaston Leroux published in 1910 – one of the major novels of the French classical literature. Priority bookings begin on 11th February 2016.